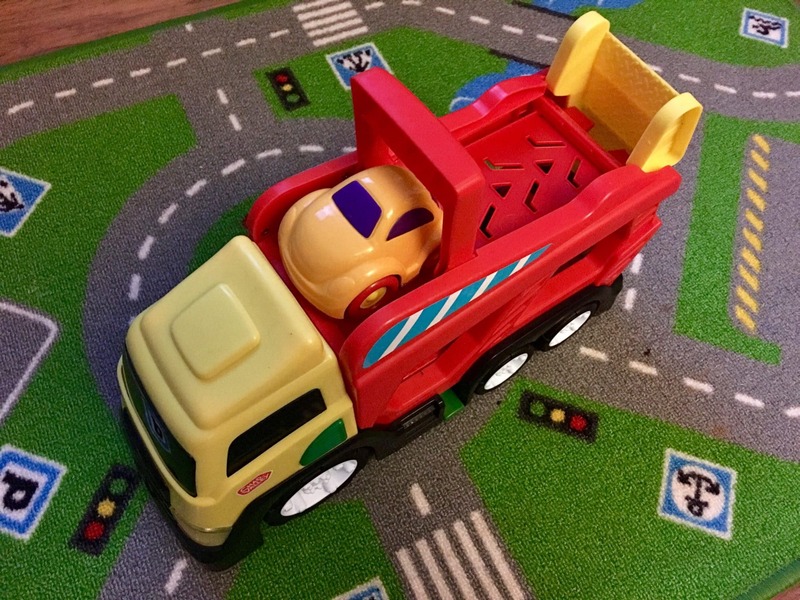 As mentioned in previous posts we are lucky enough to be part of the Chad Valley Play Panel and S recently received the Chad Valley Car Transporter to review. The Car Transporter, currently retailing at £16.99, comes with three cars ready to load and is suitable for children aged 18+ months. The car transporter is perfect for any car loving child, like S who’s eyes lit up upon seeing his new toy. Straight away the blue car was named ‘Mama Car’, as I looks just like our wee blue clio! On pressing the green button on the side of the transporter one of the three sounds will play – engine start up, horn and car melodies. It is also the perfect size for S to use with some of the cars he already has in his collection of toys. The car transporter requires two AA batteries and has a handy carry handle which is the perfect size for little hands. Overall we love this car transporter and think its great for S’ imagination. 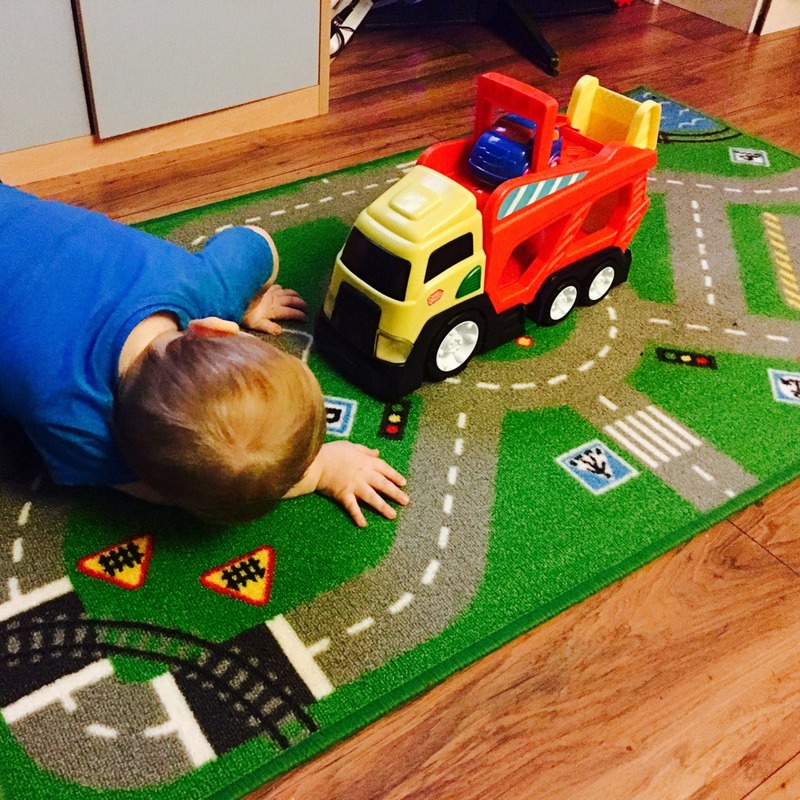 He loves driving the cars around on his rug and then loading them into the transporter. 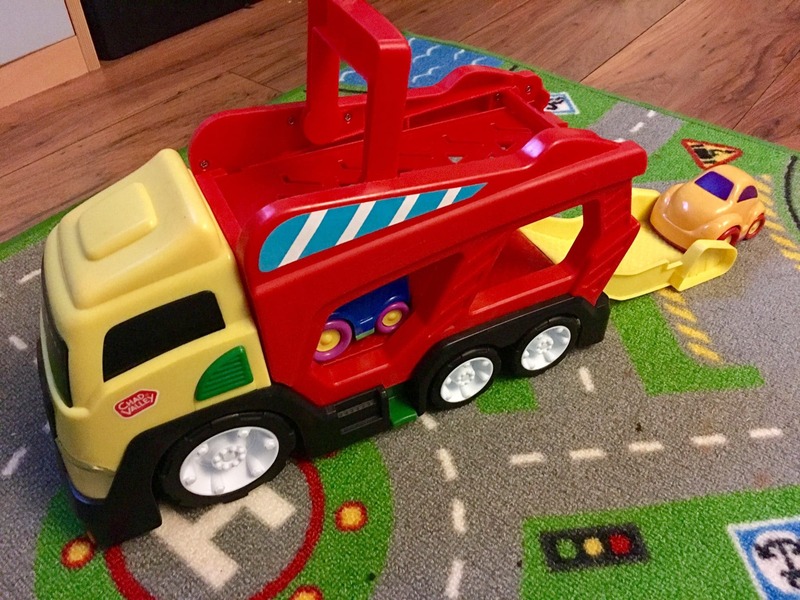 S loves his Chad Valley Car Transporter and would like to thank Chad Valley for this great gift! 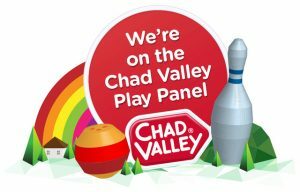 Why not check out our previous review of the Chad Valley Giraffe Popper and keep an eye out for another giveaway coming up where you could win £75 in Argos Vouchers!